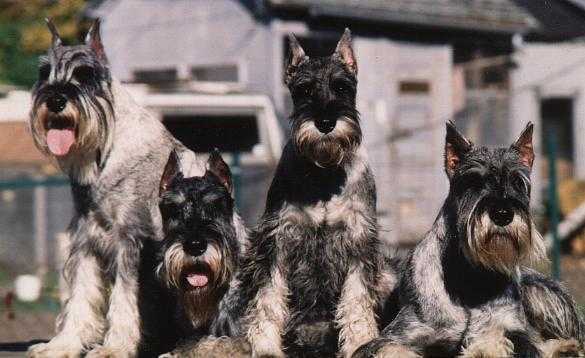 Standard Schnauzers were originally bred to be a guard dog, general farm dog and companion for farmers and trades people. The breed is quite territorial and will protect his own. Schnauzers have a good voice and will sound the alarm when a stranger comes near. They are not yappy dogs but their bark is strong and commanding. 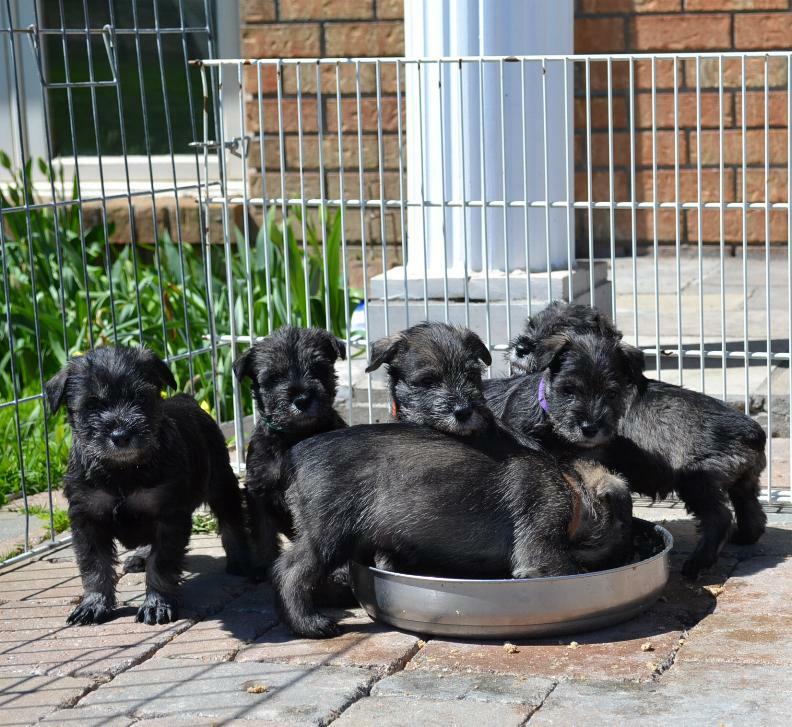 Puppies should be taught early when not to bark, as most schnauzers will let you know when the mailman, paperboy, or the neighbour is on the way up the walk. If that is what you want that's great if not they certainly can be trained to be more discriminate or at least to stop on command. In our house Maggie was always the "Top Dog" and she usually would bark when someone comes in the yard. The others would join her in giving the 'alarm' if one of us does not come to investigate. They all will bark with great joy at every cat or rabbit that passes. Schnauzers are very trainable. They are known for their intelligence and are curious to the point of nosiness. Schnauzers are also stubborn, at least the ones we know. They love to please and are willing to try just about anything from Agility to Lure Coursing, Obedience Work to Tracking. There are Standard Schnauzers who do Rescue Work or make Hospital Visitations on a regular basis. We always take our dogs for all the Obedience sessions held by our local club. Our dogs seem to know when it is "school night" and are always very excited. They love to work and really enjoy the outing. 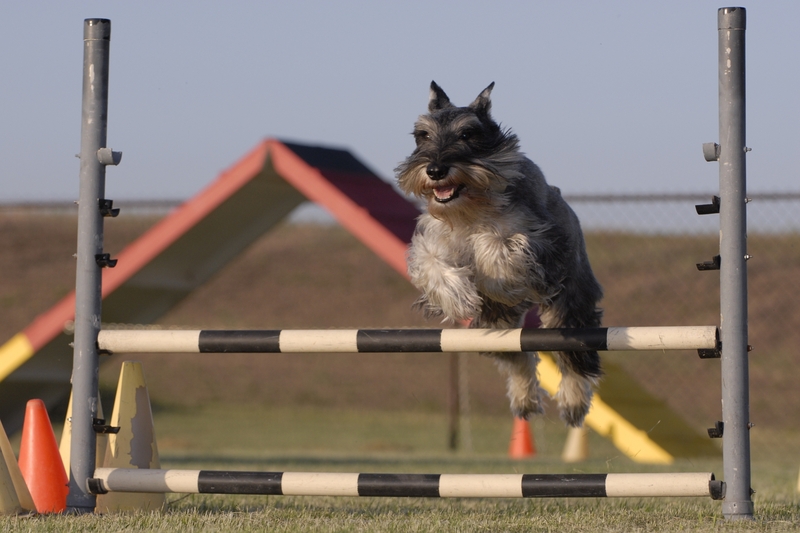 Schnauzers do tend to get bored if the same old lesson is taught over and over, so we watch and as soon as they seem to be loosing interest we try something new or at least try it a different way. 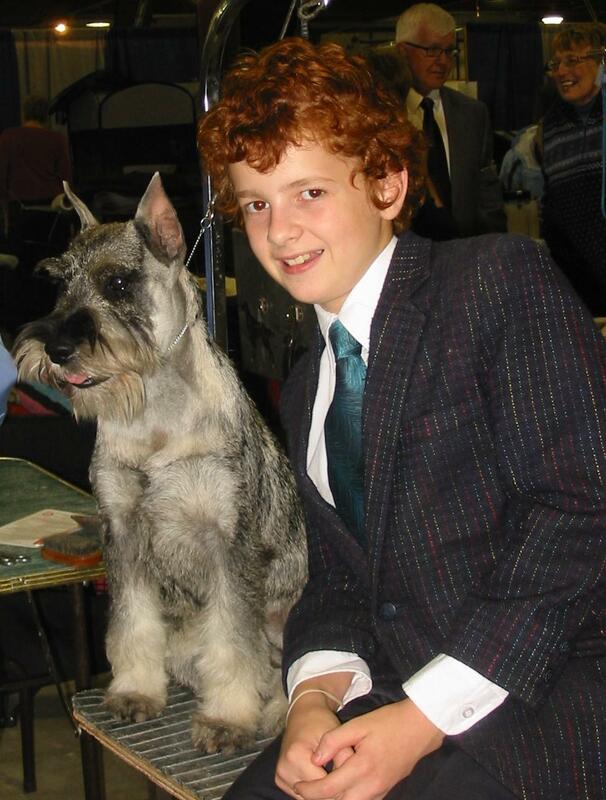 We show our dogs in conformation (championship) shows and always handle them ourselves, so our young dogs are taken to handling classes so they will be properly trained and ready for the show ring. All of the adult dogs we own are Canadian Champions and several have also earned their CDs and their CGC (Canine Good Citizen). Several are also USA Champions. Years ago, Schnauzers were known to be fairly aggressive, thankfully through selectively breeding of dogs with a more even temperament this aggressive tendency is now the exception rather than the norm for the breed. They tend to assess the situation before reacting so some dogs appear to be a little stand-offish. Most Standards are very people oriented and love to be right in the middle of things. Our dogs and many of the Schnauzers we know of do spend part or all of the day in their own dog crate. We find this makes for a much better home situation than a dog that is allowed the run of the house all day while the owner is at work. Our dogs are quite content to go to their crate and spend part of the day or even a few hours. They do get lots of attention through play time, grooming and just companionship when we are home. We try to let each of our dogs have a special time and all seem content with this situation.